Since I started Sophaki Cooks, everyone asks the same question over and over again. Their past interest in my classes, work and other extracurricular activities has slowly disappeared and their newly found interest seems to be food. When I’m asked this question, I know they don’t care what I’m making at that moment. They don’t care that I’m whipping up some less than interesting scrambled eggs. They’re referring to the next recipe they’ll find here!. This of course puts a huge smile on my face. I never thought people would get this excited about my cooking adventures. It’s a great feeling and I absolutely love sharing my current “projects” with others like my most recent undertaking–Risotto. 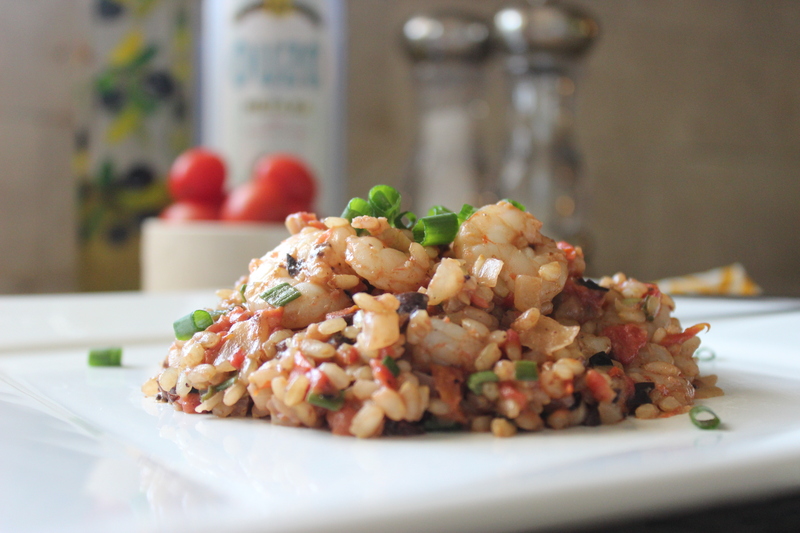 This Risotto, of course, doesn’t resemble the typical Italian rice, wine, onion and butter dish. 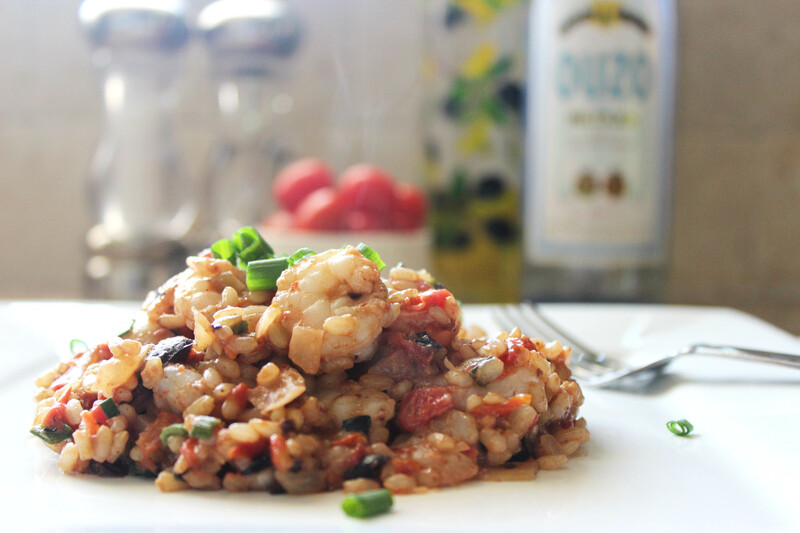 Shrimp, olives, feta and a hint of Ouzo make this take on Risotto a bomb of Greek flavor. Need I say more? Partially cook the rice. 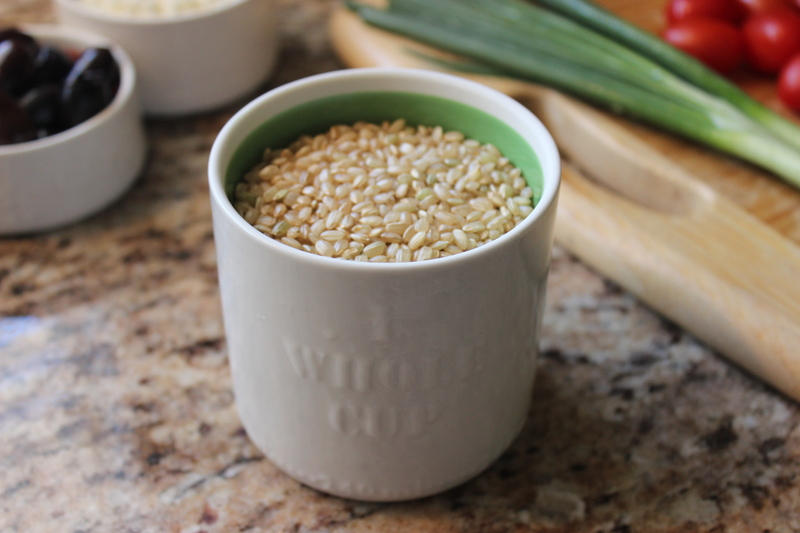 To do this, follow directions for cooking on the rice package, but use 1/2 cup less water than called for and cook for 10 minutes less than the recommended time. Meanwhile, slightly puree tomatoes in a food processor or blender leaving pieces of tomato in the mixture. Set aside. Heat olive oil in a large skillet over medium heat. Add minced garlic and chopped onion; Saute for 3-4 minutes or until onions are translucent. Add rice and stir for 1 minute to coat with olive oil. 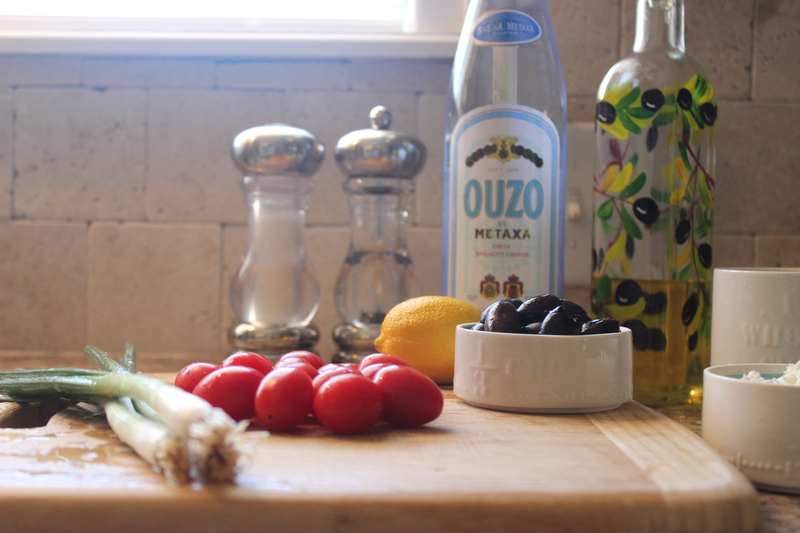 Pour in water and ouzo and stir for 3 minutes or until completely absorbed. Next, stir in pureed tomato cooking for 3 minutes or until liquid is absorbed. 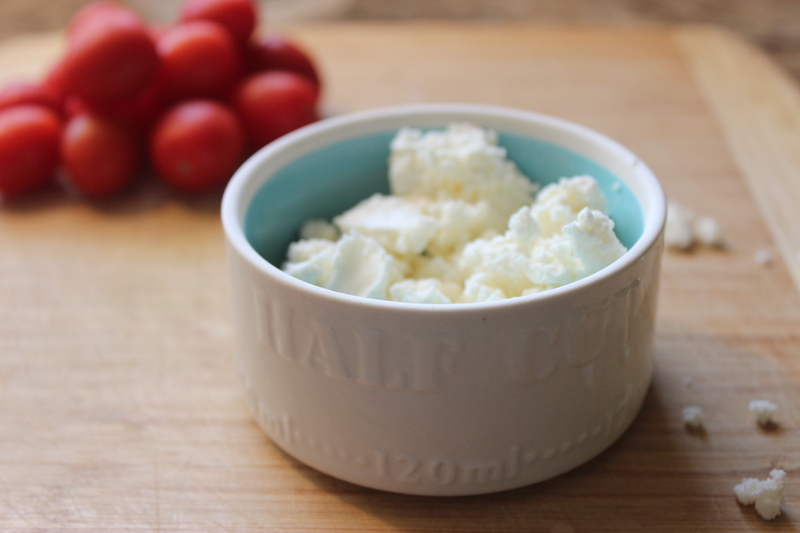 Add crumbled feta with chopped kalamata olives cook and stir until feta melts. Add shrimp and allow to cook, stirring occasionally for 3 minutes or until shrimp becomes opaque and pink in color. 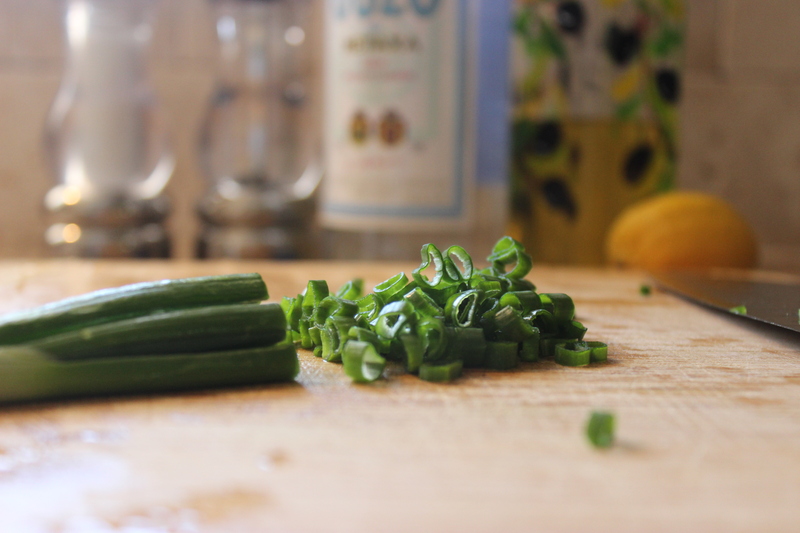 Add lemon juice, scallions, dill, salt & pepper and serve. Thanks to you Marissa! It was wonderful!